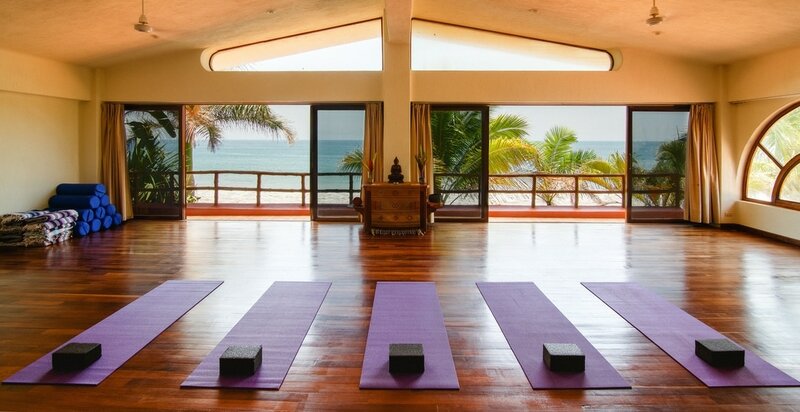 Join world class yoga teachers Neesha Zollinger and Adi Amar for a week of relaxation and rejuvenation at Mexico's Mar de Jade Resort, a dedicated yoga retreat center just north of Puerta Vallarta. Nourish yourself with healthy organic meals, twice daily yoga and meditation, free time in the sun, and good company. Welcome to Neesha Zollinger Yoga, a site dedicated to providing you with inspiration and resources to help you progress along your unique yogic path. Here you'll find information about live classes at Akasha Yoga, my studio in Jackson Hole, Wyoming, as well as workshops I do around the world. You'll be able to investigate my online offerings - both through Yoga Today and my NEW online and in-person "Boost Your Teaching" course. I love connecting with current and future students, so please reach out if you have any questions! Whether you're looking for a one-day workshop at Akasha Yoga, or hoping to catch Neesha on the road, check in here to get an in-person dose of her vibrancy! Akasha Yoga is a radiant yoga space in the lovely mountain town of Jackson, Wyoming. ​ Neesha has owned this airy and bright studio since 2000. Neesha was one of YogaToday's original instructors, and she continues to offer thoughtful practices for every skill level through this easy-to-use online service. With a magical spirit, Neesha encourages "hard" work and effort in the softest and most caring way so that she gets in touch with everyone wherever they are in their practice and situation in the moment. This skill - her grace, language and beautifully presented precise alignment - invites deep focus and contentment allowing all to open to their full potential.